Robert a Kayne delivered the highlights of today's meeting by sharing a slide show of photos and commentary on her January trip to Cuba. Roberta joined a group from Global Volunteers that traveled there to tutor English. Roberta's talents as a photographer shown through in the amazing pictures she shared. Global Volunteers (globalvolunteers.org) boasts 35,000+ volunteers in over 35 countries. You can see most of the photos from Roberta's presentation at www.RobertaKayne.com/Cuba. 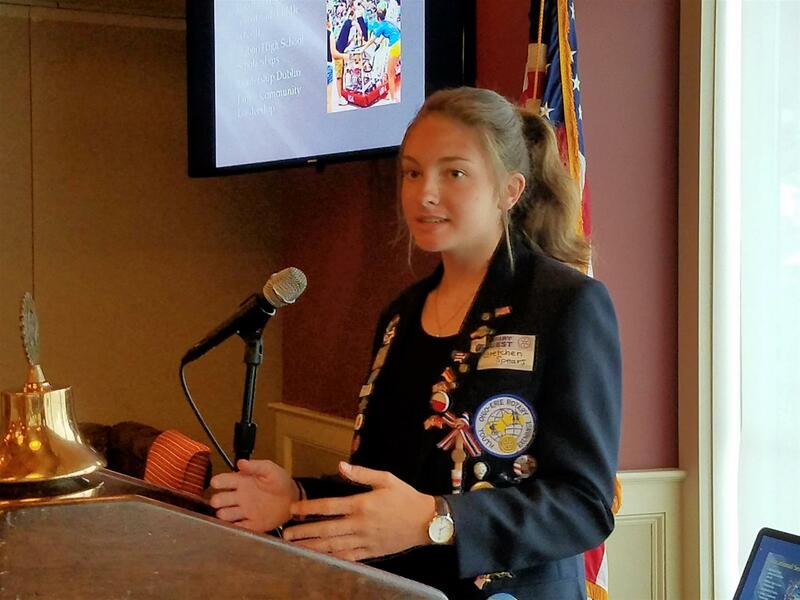 Gretchen Spears, a student at Dublin Coffman, provided us a terrific presentation about the history and culture of Slovakia. Gretchen will be traveling there this coming school year as an exchange student sponsored by our club. 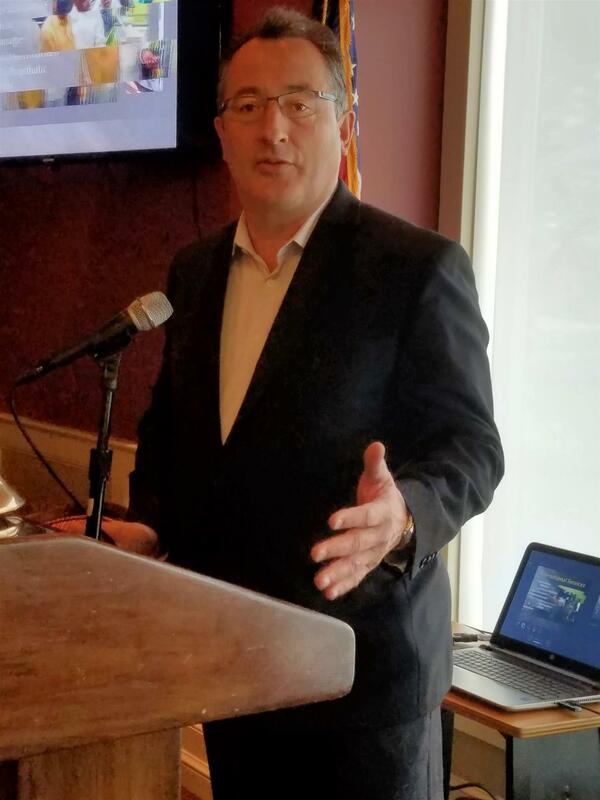 Pat Losinski, CEO of Columbus Metropolitan Library, joined us to deliver his personal thanks for the donation that we have pledged to the new library branch under contsruction in Dublin. Dublin Irish Festival - shifts are still needing filled - particularly Saturday morning and on Sunday. Contact Andy Keeler. Also, for training on the inventory control application on the iPads, please stay after next Friday morning's meeting or arrive 10-15 minutes early for your shift. Fundraising - David Bentz announced that the two main fundraisers this year are the Memorial Tournament Pro Am Day and the Polar Bear Open. August 18th Perfect Party - mark your calendars for 6>30pm on Aug 18th for a perfect party at Andy Keeler's home. Watch for more details coming via email. August 10th - Emerald Campus Grand Opening - if you are interested, please sign up. Contact Peter Georgiton for details. 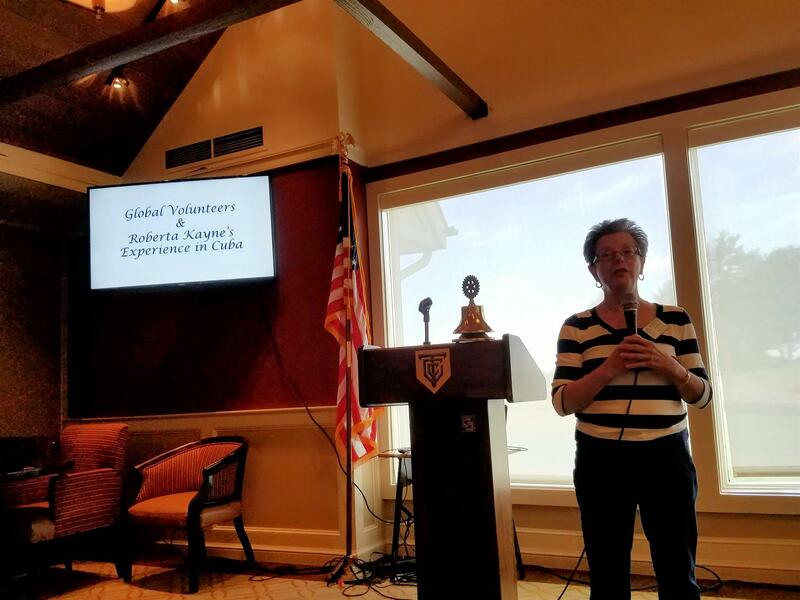 Roberta Kayne delivered the highlights of today's meeting by sharing a slide show of photos and commentary on her January trip to Cuba. Roberta joined a group from Global Volunteers that traveled there to tutor English. Roberta's talents as a photographer shown through in the amazing pictures she shared. Global Volunteers (globalvolunteers.org) boasts 35,000+ volunteers in over 35 countries. ou can see most of the photos from Roberta's presentation at www.RobertaKayne.com/Cuba.